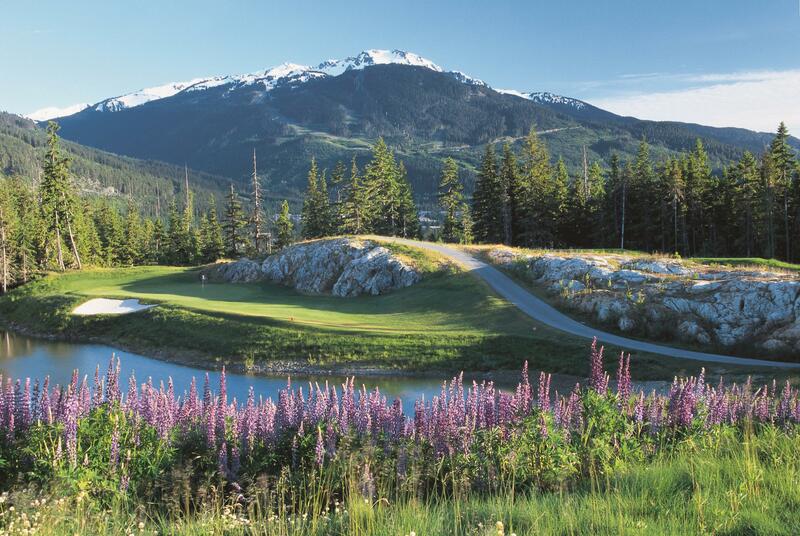 Perhaps best known for lengthy ski slopes and its role in the 2010 Winter Olympics, Whistler, B.C. offers year-round outdoor adventure in a pristine mountain setting. 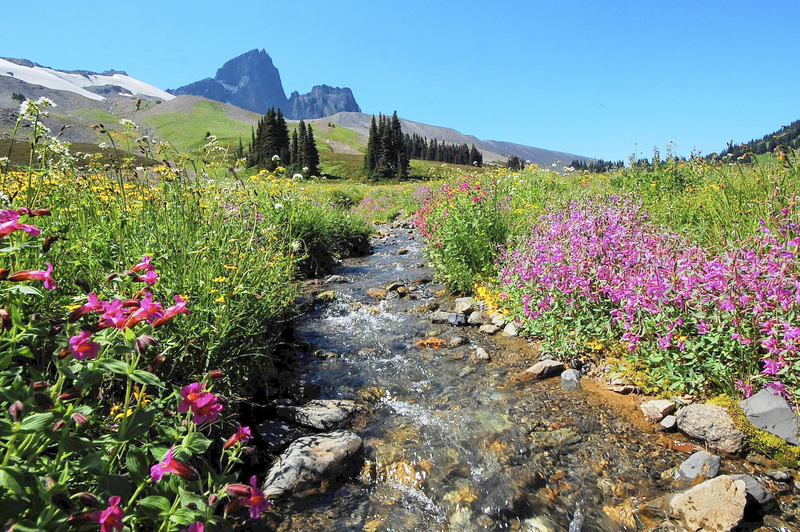 When the snow melts, the Coast Mountains beckon you to hike along rugged trails or lounge lakeside with a great book. The warm weather lends itself to browsing through the village's boutiques, unwinding on a patio at the summit of Whistler Mountain and getting adventurous in the wilderness. Whether you come here to relax or explore, there is both serenity and excitement on and off the mountains. Ready to spend a weekend in Whistler? When you arrive, waste no time indoors. Start getting acquainted with this cozy village via the Valley Trail, 40 kilometres of mostly paved paths that wind through Whistler's neighbourhoods, across creeks and along clear mountain lakes. 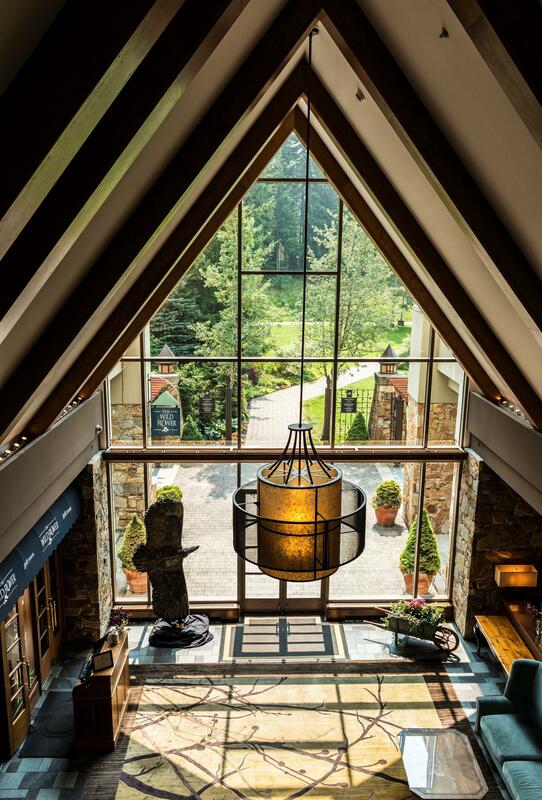 For a more personalized tour, Fairmont Chateau Whistler connects guests with its expert guides who can curate an exclusive exploration of the area’s best-kept secrets. From a train wreck painted by local artists to riverside hiking trails, the guides provide an insider perspective and deliver experiences to match your interests. 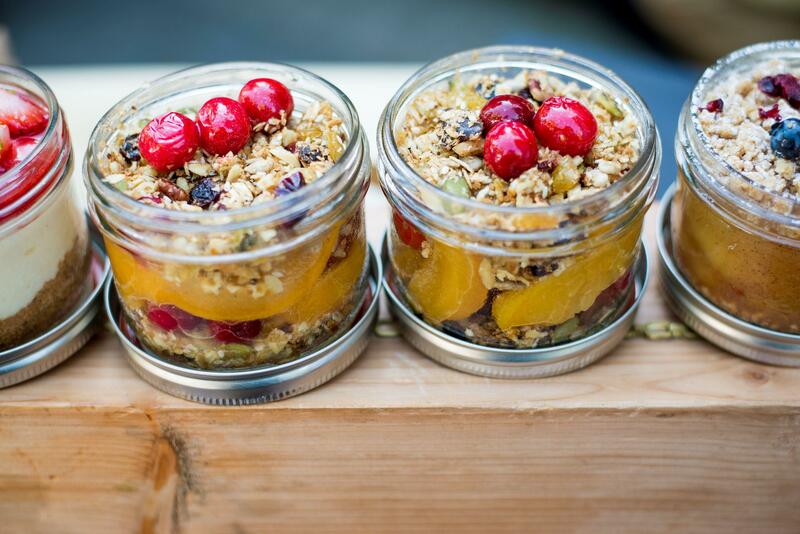 As you acclimate to the mountains, you’ll find yourself with an appetite. For your first night, book the Whistler Tasting Tour to discover the dining diversity of Whistler. You'll be part of a small group visiting hand-selected restaurants, where you can savour signature dishes perfectly paired with locally sourced wines. This gives you a shortlist of culinary picks, so you'll know where to find regional flavours mixed with international classics, like elk tartar. Whistler and Blackcomb mountains are brimming with options for hiking, biking and exploring. Before heading out, stop by Portobello Market & Fresh Bakery and fill up on fresh breakfast options such as the decadent maple bacon cream doughnuts. Get sandwiches to go for a picnic lunch; consider the roasted turkey on ciabatta bread with bacon-onion jam or your own creation. You'll need the sustenance to fuel your adventures. To experience the best of both mountains, plan on crossing between the summits. If you’re feeling adventurous, Ziptrek Ecotours gives you the eagle experience, which includes five ziplines over Fitzsimmons Valley, including a 731-metre zipline with a thrilling 30-storey descent. You'll get a bird's-eye view of the forest canopy, the mountains and the bubbling waters of Fitzsimmons Creek. Rent one of their GoPro cameras to capture and relive the experience. For a different high-altitude perspective at a slower speed, the Peak 2 Peak 360 Experience gondola ride provides panoramic, 360-degree views of an endless sky; hemlock, cedar and fir treetops; and glacier-clad mountains. While you're near each mountainside, be on the lookout for fuzzy black bears foraging for food. If you plan to do both Ziptrek and Peak 2 Peak, purchase tickets through Ziptrek for significant savings. Both Blackcomb and Whistler mountains are peppered with rugged Alpine trails snaking through green meadows, rocky outcroppings and views of steep mountain cliffs. With so many lookouts to distant mountains and rolling green valleys dotted with cerulean streams and lakes, you shouldn't have any trouble finding a picture-perfect picnic spot. 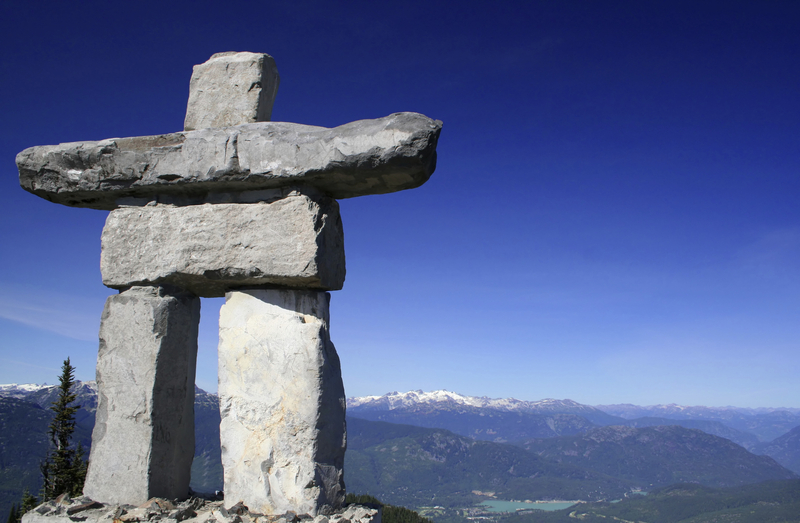 In the late afternoon, make your way to Whistler Mountain's towering inuksuk. This stacked-stone monument is modelled after figures created by Inuit and other First Nations to communicate to travelers, "you are on the right path." Considered a Canadian symbol of hope and friendship, the inuksuk makes a great photo opportunity as the sun begins to lower and the statue takes on orange, pink and purple hues. To wind down your day of exploration, head to the Roundhouse Lodge for their Mountain Top BBQ series, held every weekend evening between June and October. Their pit-masters have been known to serve up savoury meats like spit-roasted suckling pig and Memphis-style ribs, paired with sides like crunchy rainbow slaw, rolls and "drunken" maple baked beans. Their patio is a great place to feast and relax without leaving the high altitudes. Sunday mornings are best spent leisurely browsing the farmer's market in the cool mountain air, sampling freshly baked bread and homemade gelato while browsing one-of-a-kind souvenirs created by local artisans. Then, plan to spend a few hours exploring the eclectic shops in Whistler Village. Don't miss The Trading Post at Whistler's collection of Royal Canadian Mounted Police gear or the unique "Whistler-style" sweaters in Amos & Andes, a well-known Whistler shopping experience. Chocolate lovers, be sure to stop by Canada's first Rocky Mountain Chocolate Factory store. Sample artisanal chocolates like truffles filled with Grand Marnier and the white chocolate mountain mix bark. Be sure to grab a box of your favourites to share them with friends back home. You can delve deep into Whistler culture by visiting the Squamish Lil’wat Cultural Centre, where you’re immersed in the heritage of the area’s First Nations. The centre offers a hands-on experience, letting you touch dugout canoes, finger the fabrics of ceremonial blankets and play native drums to get a true feel for the arts, culture and music of the original inhabitants of Whistler. Before re-entering the "real world," book a few hours to rejuvenate at Scandinave Spa. Their outdoor hot baths and waterfalls offer the warmth of traditional Scandinavian hydrotherapy, in the refreshing mountain air. With views of sun-kissed hemlocks, rocky hills and glistening Lost Lake, this is a peaceful way to reflect on your adventures in Whistler. The beautiful thing about Whistler, aside from the mountain vistas, is that it has so many options to cater to your idea of a great getaway, whether that means thrill-seeking adventures on the summit or an idle day meandering through shops. Indeed, Whistler offers a surprising amount of variety for your weekend, no matter when you visit. A lifelong world traveller, Torva Logan loves to unearth unexpected destinations and breathe new life into well-known locales. Writing for a number of luxury travel groups, she has written about speciality cruises, luxury backyard destinations and opulent far-flung getaways. Her work has been published Business Insider and The Muse. Are you planning a Fairmont adventure this summer? Book our Moments Offer and enjoy up to 30% off.